Graphic design is not limited to the printed page or the web. 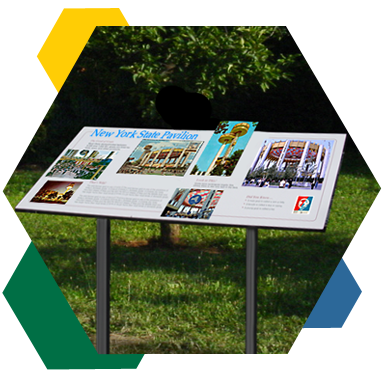 My design and graphic production knowledge, skill, and abilities extend to interpretive signage and exhibits. 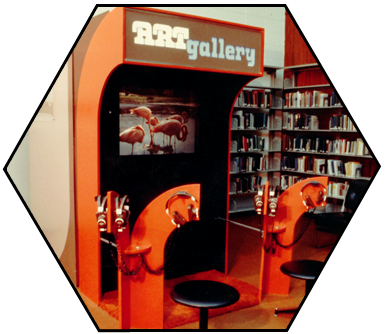 I developed my interest in this area from my early days exposed to the New York World's Fair of 1964-65 and from many talented people in the multi-media, cinematic, theatrical, and exhibition fields. 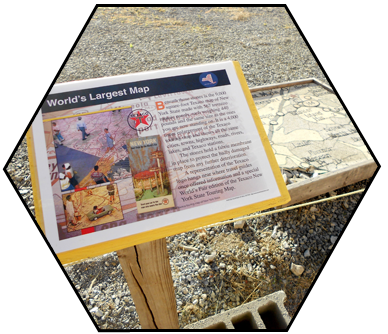 Designing captivating, informative, and easy to read interpretive signage is one of my graphic arts capabilities. Visitors get more enjoyment and knowledge from effective well conceived written, and designed graphics. I work with directors and curators to research each topic, gather pictures, diagrams, interactive elements, videos, and write simple to-the-point text for each stop along your exhibits. After producing the final graphic files for each panel, I work with fabricators to manufacture and install the finished units. A great design that is creative, attractive, informative, and certainly impressive is the key to a successful display or exhibit. Exhibit design is another extension of my graphic arts abilities. I have designed several exhibits for public spaces such as a library on such topics as the solar system, King Tut, Haley's Comet, and fine art. My approach has been to incorporate multi-media, interactive elements, video, theatrical lighting, and environmental sound tracks — all to enhance an enjoyable learning experience. More traditional photographic and textual signage is still a vital part of the experience. Also very effective in sales and image building projects. I work with frabricators to manufacture and install the finished units.